Straight from the kitchen of a San-ta Fe gourmet, this darling decoration recalls the fabled cooking pots treasured for generations in the Southwest. 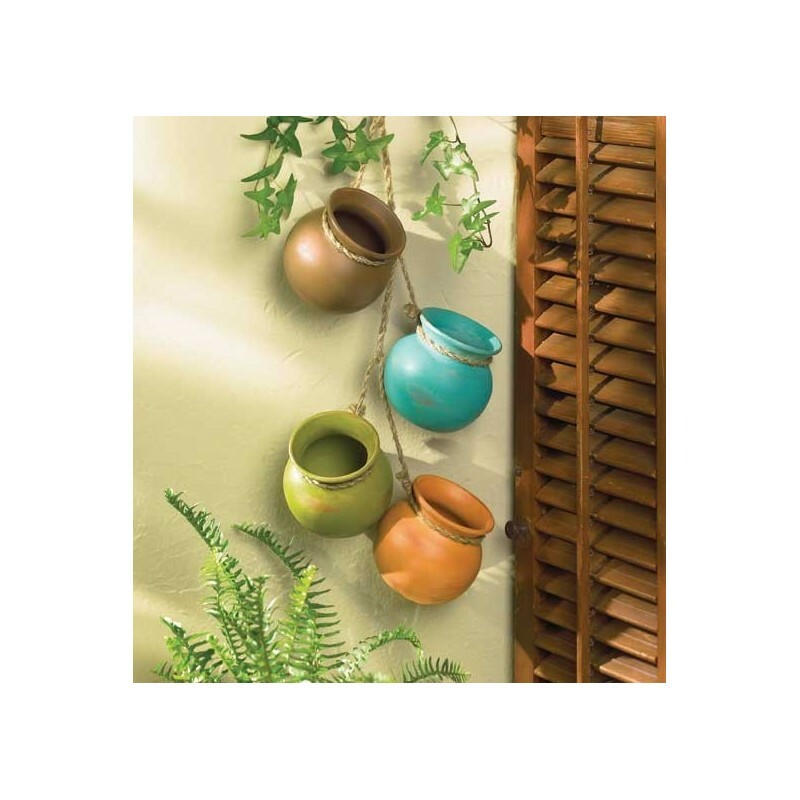 Four graceful earthtone vessels with jute hanging loops ready to brighten any corner! 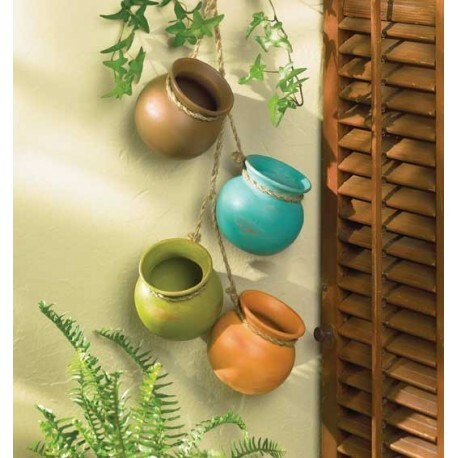 Ceramic with jute hanger.